If you’re searching for Palm Beach County long-distance movers, don’t make your task any harder than it has to be! With BBB accreditation and ProMover certification, Bekins of South Florida is here to provide the reliable, professional, and affordable services you require for any long-distance relocation. As a member of one of the farthest-reaching and most dependable moving and storage networks in the world, we’re fully equipped to handle your family’s move anywhere in the State of Florida or across the country. In fact, the Bekins network has been operating continuously since 1891—giving us truly unparalleled knowledge and experience regardless of where you need to go! Households of any size can benefit from our wide-ranging residential moving support, especially because we customize our services to each household’s unique needs. From simple packing support to luxury move coordination, we offer a full spectrum of Palm Beach County long-distance moving services—always kicked off with a free written cost estimate for your convenience. 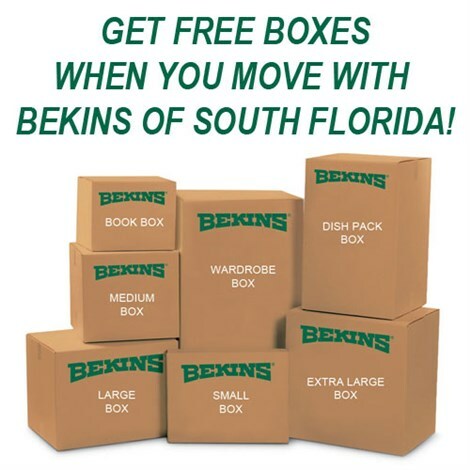 As a full-service moving and storage provider, Bekins of South Florida offers more than just Palm Beach County long-distance moving help. In fact, if you arrive at your new home and decide you need more time before unloading your items, we can seamlessly transition from moving to storage! Whether on a short- or long-term basis, we’ll enclose your items in secure wooden vaults and keep them organized through our innovative inventory management system. All you have to do is let your move coordinator know when you’re ready to have them back. 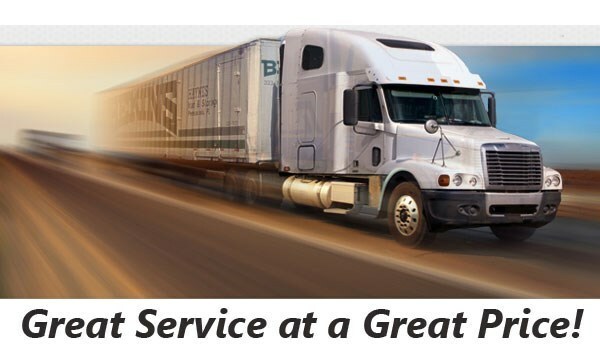 Wherever your next long-distance move may be taking you, Bekins of South Florida would be happy to make it the simplest moving journey you’ve ever had. Call our experienced Palm Beach County long-distance moving company to find out more about our many household moving options, or send in our online form to request your free written cost estimate today!